Catherine Cortez Masto’s position on her state’s medical marijuana law remains unclear: while a legislative working group of which she was a member opposed it, the legal weed business provides her family with a paycheck. Masto, who is running for U.S. Senate, does not appear to have taken a personal position on a new Nevada law allowing the sale of medical marijuana, despite having served as state’s former chief law enforcement officer for eight years. As she stays quiet on the law, Masto’s husband, a former Secret Service officer who runs a private security firm in Las Vegas, provides security for two medical marijuana businesses. 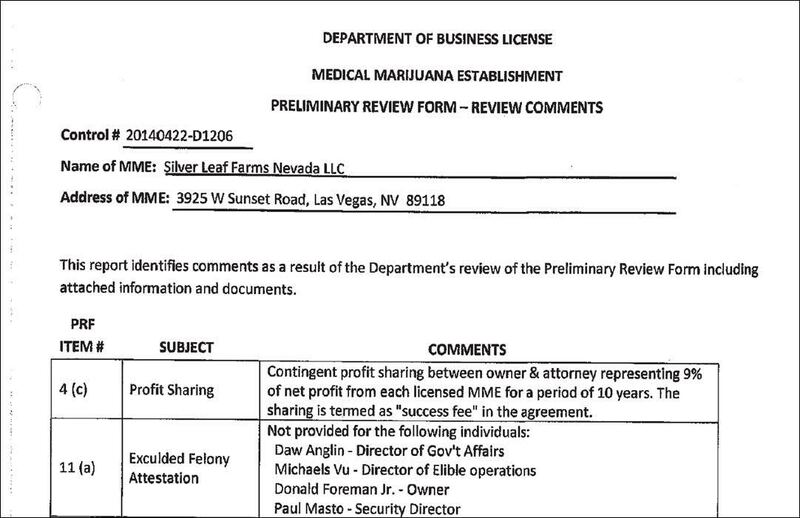 Masto’s campaign did not respond to multiple requests for clarification on her position on recently passed Nevada legislation legalizing medical marijuana dispensaries in the state. 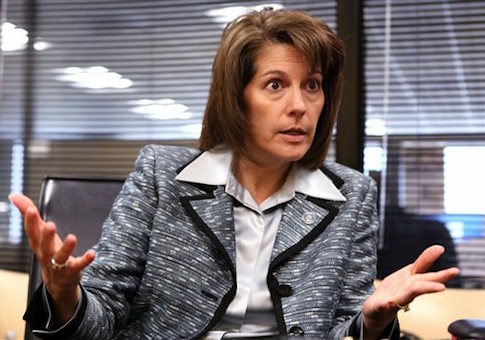 Masto, Nevada’s attorney general from 2007 to 2015, voted against the successful 2000 ballot measure that legalized medical marijuana. She said during her 2006 campaign for attorney general that she would "support and enforce that law if it’s ever challenged" despite her personal opposition. Though medical marijuana has technically been legal in Nevada since 2001, the state legislature only passed a law in 2013 regulating its sale, and hence making it publicly available. Masto was a member of a legislative working group that came out against that measure in 2013, but she did not stake out a position in an individual capacity. Masto admitted in 2005 that she "tried marijuana once or twice at parties" when she was young, but later said, "as a prosecutor and somebody who prosecuted drug dealers I saw direct correlation between drug use and other crime." She cited that experience in opposing an unsuccessful 2006 ballot measure that would have legalized recreational marijuana in the state. That question is back on the ballot in Nevada this year. "I do not see a benefit in our state in legalizing marijuana," Masto said of recreational legalization in 2006. However, she is seeing some benefits in the state’s legalization of medical marijuana. Her husband Paul Masto is a security adviser for GreenMart, an umbrella group of medical marijuana dispensaries in Arizona, where medical marijuana is already legal. He is listed as the security director of another company, Silver Leaf Farms, according to business licenses filed with the state. Paul Masto, a former Secret Service agent, is the president and CEO of Universal Security Specialists. He and his wife brought in "over $1,000" in income from the business last year, according to personal financial disclosure filings. According to Clark County, Nev., records, GreenMart has a cultivation license, meaning it can grow marijuana for sale to medical dispensaries. Silver Leaf has cultivation and production licenses, allowing it to grow and produce edible marijuana products. This entry was posted in Issues and tagged 2016 Election, Marijuana. Bookmark the permalink.